Spacious. Modern. Affordable. When you choose Promenade at Aloma, luxury is within your reach. Many of our one, two, and three bedroom Oviedo apartments for rent have been upgraded to include contemporary fixtures and finishes. With energy-efficient appliances and a full kitchen, you will love entertaining friends or cooking up a quiet meal for two. Each of our homes also includes a screened in patio, perfect for comfortably enjoying the outdoors. It’s hard not to be impressed by our attractive selection of amenities. Whether throwing the ball for your four-legged friend on one of our numerous green spaces, or strolling our grounds on one of the shaded walking trails, you will love the ambiance of our community. Kick back poolside, or take a dip in the spa. 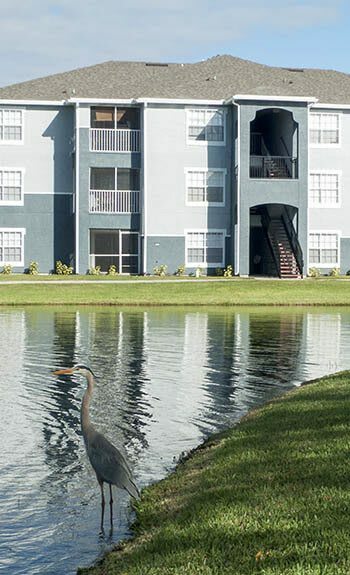 At Promenade at Aloma, we put your needs first. Schedule a tour to learn more.